The foundation of the Miikanan Gallery was developed by a talented group of hardworking individuals who make up our advisory committee. The committee began meeting in 2013 to develop the purpose and foundation goals for the gallery. They continue to work toward its implementation and ongoing success. 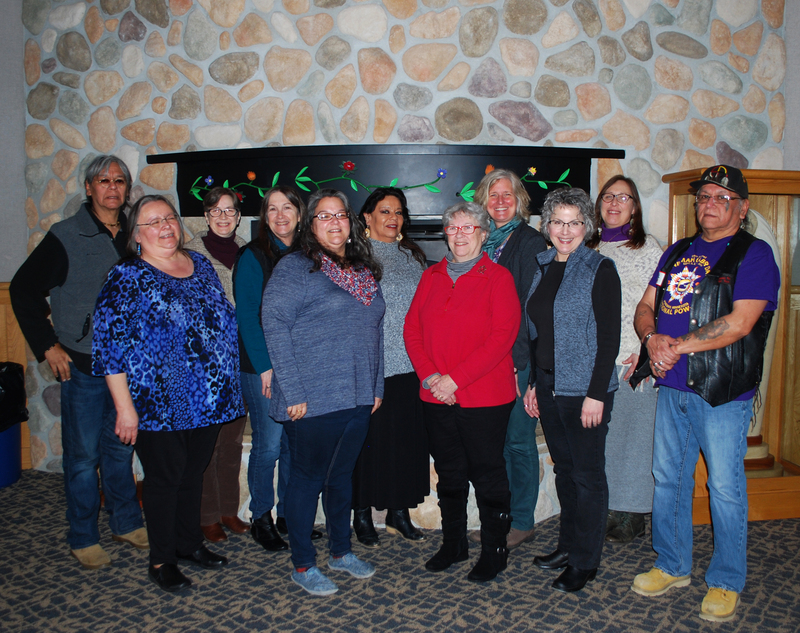 Pictured L-R: David White, Mary Ringhand, Colleen Greer, Lorie Yourd, Nyleta Belgarde, Renee Gurenau, Sandy Kaul, Laura Dehler-Seter, Lori Forshee-Donnay, Karen E. Goulet and Harold Dunsey White. Not pictured: Leah Carpenter, Elaine Fleming, Michael Meuers and Joe Allen.